Brothers and sisters share a special bond. Tell your brother how much you value the bond you share with this lasting personalized keepsake. 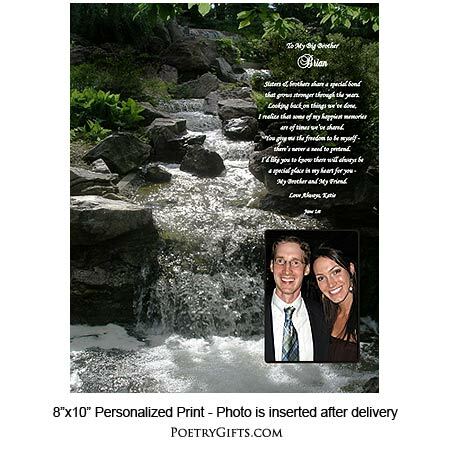 A birthday or wedding gift for your brother to cherish. You've teased each other over the years, argued a bit, and maybe even tried to convince each other that one of you was adopted...just some of the normal things brothers and sisters do. Now as you have matured, you really value all of the wonderful family memories you've shared. You've come to realize that he is more than just a brother - but also a wonderful friend. 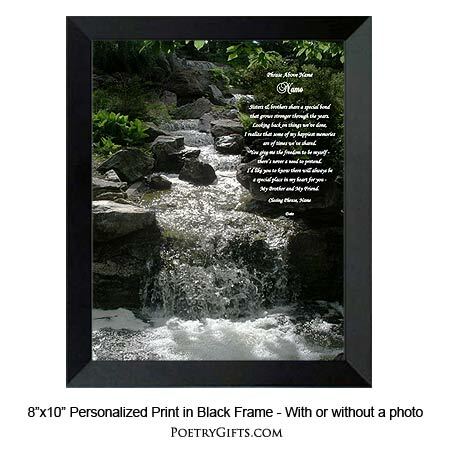 Let this original poem in a beautiful waterfall design express all of these feelings for you. 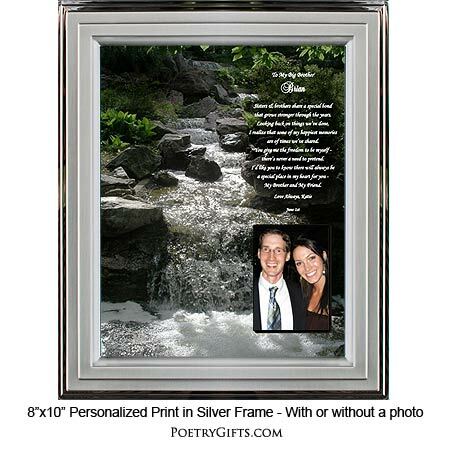 Imagine the look on his face when you present him with this thoughtful gift for his birthday. Or maybe you just want to give him a present that will remind him of how much he is loved. It's a Winner...just like him! 3. 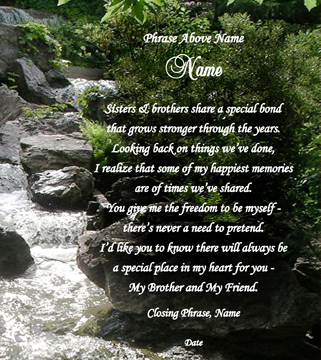 Closing Phrase and Your Name(s) (as seen after poem) - (Examples: Happy Birthday, Love Always, Your Little Sis; Love, Matt & Christine; etc." My Brother and My Friend. I have a very close relationship with my brother, but brother sentiments are difficult to find. This was the perfect way to express my feelings!